Is it a case of nature versus nurture when it comes to two “cousin” exoplanets? In a unique experiment, scientists used NASA’s Hubble Space Telescope to study two “hot Jupiter” exoplanets. Because these planets are virtually the same size and temperature, and orbit around nearly identical stars at the same distance, the team hypothesized that their atmospheres should be alike. What they found surprised them. The team used Hubble’s Wide Field Camera 3 to look at the planets’ spectral fingerprints, which measure chemical composition. “The effect that clouds have on the spectral signature of water allows us to measure the amount of clouds in the atmosphere,” Bruno said. 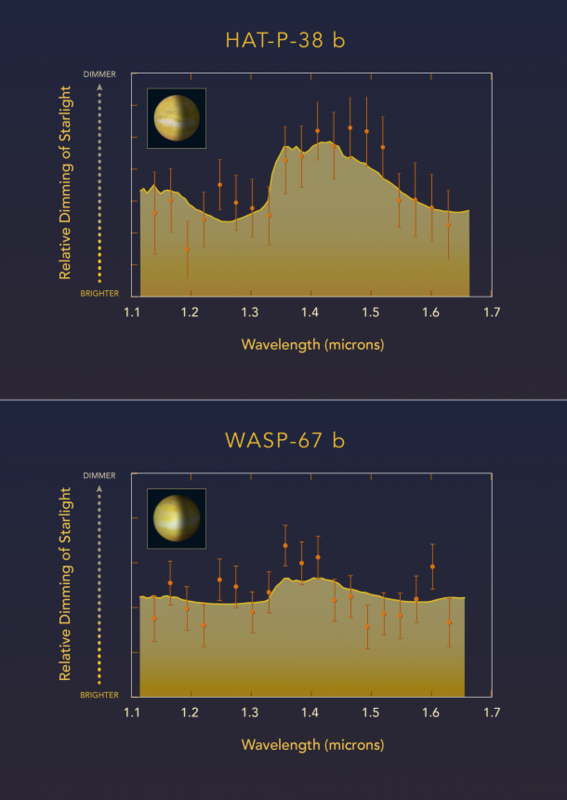 “More clouds mean that the water feature is reduced.” The teams found that for WASP-67 b there are more clouds at the altitudes probed by these measurements. “This tells us that there had to be something in their past that is changing the way these planets look,” said Bruno. The team is just beginning to learn what factors are important in making some exoplanets cloudy and some clear. 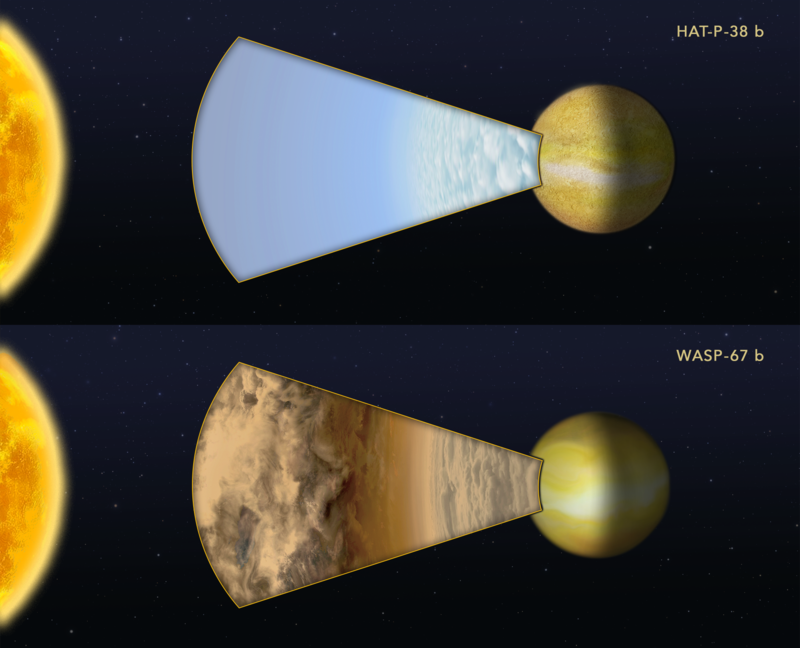 To better understand what the planets’ pasts may have been, scientists will need future observations with Hubble and the soon-to-be-launched James Webb Space Telescope.